How can Penn State improve on their 6 – 0 record this weekend? As most of you know, Penn State is now #2 in the National Rankings this week going against #19 Michigan at home on Saturday. Saturday, Penn State is having another one of their famous “White Out” games and I hope those Penn State fans buy more White Gloves from us to make things even whiter and warmer. 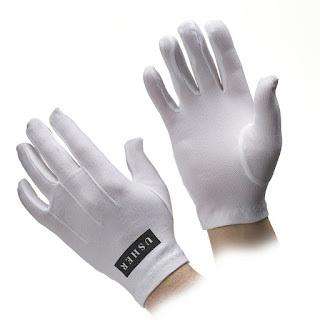 As many already know, the GO Standard Cotton Parade gloves are our most popular white cotton gloves for their high quality, simplicity, and low price. Additionally, we make them in many sizes from toddler children ages (0-3) to Men’s XXL. Often customers call about sizing questions. To address this issue, we made a chart to help assist in determining which size is best for you. We also added the chart to the product listing to make it more convenient for you. considered an essential part of a person’s wardrobe. 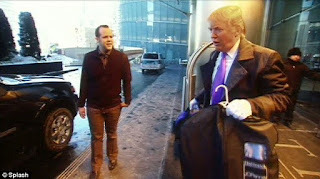 Today, white gloves continue to be used for many different purposes beyond formal occasions. In any case, being white, these gloves will get soiled or dirty so we thought it would be helpful to offer some instructions due to the numerous requests we get from our customers. These instructions are based on our 100% White Cotton Gloves. First, inspect the gloves for any stains or spots. Our gloves can be machine washed on gentle cycle but hand washing is also sufficient. If stains or spots are present, prepare the gloves for washing by placing stain remover on any of the stains or spots. Rub the stain remover into the stain using a small, soft-bristled brush. Let them sit for several minutes but no longer than 10. 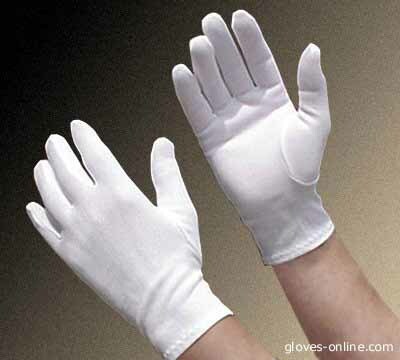 Wash the gloves using cold water and use a small amount of bleach to bring out the whiteness in the gloves. It is best to wash the gloves by themselves. Washing gloves with other clothing increases the chance you might lose a glove or damage them. Never pour bleach directly onto a glove. This can damage the fabric and stitching. Always dilute the bleach in water. You can machine dry the gloves using a cool dryer temperature but it is best drip dry or lay them flat to dry. Note: Cotton gloves will shrink if washed in hot water or dried using a hot temperature.